Water is a chemical substance with the formula H2O meaning its molecule contains one oxygen and two hydrogen atoms connected by covalent bonds. All are vital to sustain life. Deprived of oxygen our immune system and health greatly suffers. As for hydrogen it is what helps to break down fat and protein in the stomach and to stimulate production of energy. When you think of water you have to think of all its elements and understand each of their functions. Water exists in three states, liquid, solid, and gas or sometimes referred to as an invisible vapor which exists in the air. Water covers over 70% of the earth’s surface and it on average composes 66% of the human body. H2O is the source of life for without it, creation could not exist. 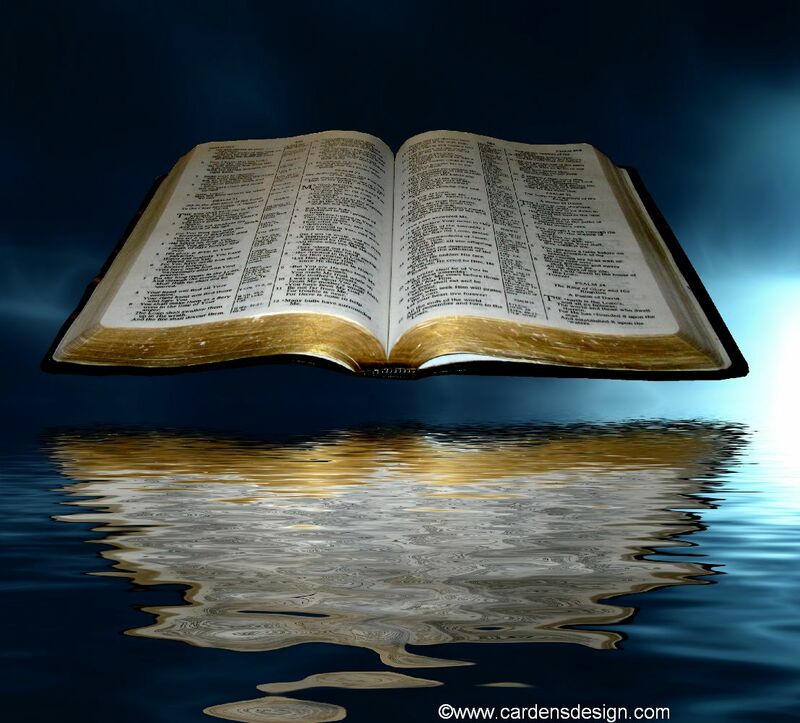 Scriptures read to “let the waters bring forth abundantly the moving creature that hath life…” It is most interesting the importance the Lord places on this fascinating substance. Water is mentioned in the Bible over 700 times. It is considered a purifier in most religions and we see this in Christianity with water baptism. In John 3:5, Jesus says to Nicodemous that “Except a man be born of water and of the Spirit, he cannot enter into the kingdom of God.” In Exodus 30:18, we see how the priests were to wash their hands and feet before entering the tabernacle so they would not die. The Garden of Eden was “watered with a river that flowed through it” so that it did not die as so are the Heavens. Water is the source of life in many manners both in physical and spiritual realms. When reading in Genesis, on the first day of creation the Bible says that the Lord spoke into existence light, “let there be light”. Then there was night and day and on the second day the Bible says that the Lord said to “Let there be an expanse between the waters to separate water from water”. This is very interesting and confusing how He said to separate “water” from itself, while at the same time placing an emphasis on water. Yet, keep in mind that here in Genesis 1:6 it does not say that the Lord said let there be water and remember that water was of such importance that it was mentioned in the second verse of the Bible. In Genesis 1:2 it says that “the spirit of God moved upon the face of the waters”. The Bible appears to be telling us that perhaps water was already in existence. Why? Why is water so important? What is the importance of God’s spirit moving upon the surface of a molecule with oxygen and hydrogen, the same element that makes up gas clouds and stars? In John 4:7, Jesus refers to Himself as the water, which if you drink you will never thirst again. In Jeremiah 2:13, He refers to Himself as the fountain of living water. In Revelation 21:17, He refers to Himself as the water of life. Since God has always been in existence perhaps water has been in existence as one with Him. He, as the Trinity, is like that of the three atoms which make up the chemical substance of water; Father, Son and Holy Ghost or solid, liquid and gas. The Father remains in Heaven on His thrown as He sends the liquid state of His Son down to earth to be sacrificed for the sins of His earthly children and returns to the Father in order to send the gaseous state, the Holy Spirit to be our comforter. We also see the significance of water with the great flood in Genesis when the floodgates of the heavens were opened. God came down to earth through means of rain or water to destroy His creation with a following promise to never come via this means again. Even the promise which was revealed to His people was a form of water, the vaporous form of the rainbow. God’s actions perhaps divulge that He knew He would later come through another means by sending His Son to the earth to save humanity from their sins. And this plan included His son having to ascend back to Heaven in order for Him to come to earth via another means of sending the Holy Spirit. And when we are all together in Heaven, Revelations tells us that there will be no more sea but there will be a river which flows from the thrown room of God. And this river will be our eternal source of life and we will never thirst again. One day there will be no need for musing or explaining. It will be clear of the Biblical significance of water. Enlightenment will replace confusion. We will be one with God and He will be one with us.